During our lessons, you’ll be equipped with helmets, flotation vests and safety systems on our kites. We take your safety seriously and don’t like surprises. Highly trained instructors, personal attention and optimized teaching methodology offers you safety and fast results. in a friendly atmosphere. Don’t speak Spanish? Don’t worry, we at GoKite Kiteboarding School also offer kitesurf lessons in English, but will teach you a few Spanish words in the process. Hasta pronto! Learn kiteboarding well and fast; over the years, we have optimized and perfected our learning methods to get you to enjoy kiteboarding in no time! Our school teaches with the latest equipment from Slingshot and Hawaii Wainman — the top brands on the market — with a wide range of kite and board sizes to ensure best learning experience. Take excellent kitesurfing instructions in a friendly, safe and fun environment, and make it your best kitesurfing holidays ever! The staff and instructors at GoKite were professional, helpful, flexible, and just plain fun. The facility is great, they have plenty of quality equipment, and the restaurant/bar is nice to have close by. GoKite worked around our schedule and the wind conditions. We had a great experience and will definitely be back. Stayed at Extreme Hotel and my boyfriend and I got the learn-to-kite package. The GoKite team was friendly, knowledgeable and clearly enjoyed teaching. While the wind wasn’t the best our week (which is rare), the instructors made sure conditions were right for learning so that we weren’t frustrated. We got up within the week, had a great time and now we’re getting kite of our own . . . we’ll be back! Richard and crew are total pros and super friendly. Know the wind conditions perfectly and maximize time on the water while keeping every safe. 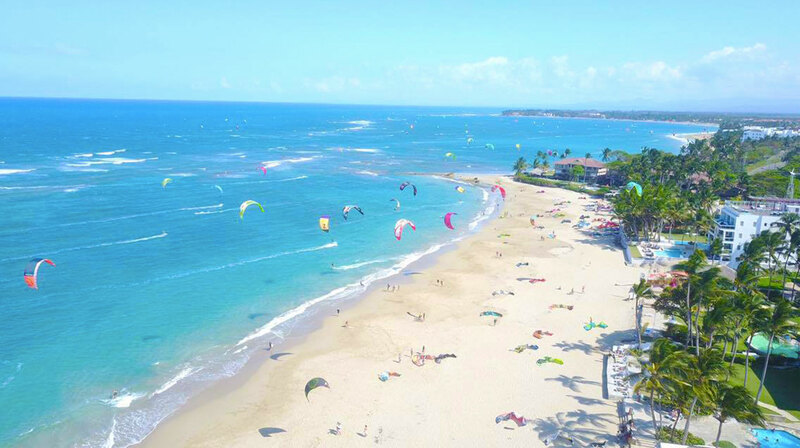 We’re a locally owned and operated business, located at the Extreme Hotel Cabarete, a unique and environmentally friendly, adventure- and kitesurfing-themed hotel… and hands-down best location on the Kite Beach.